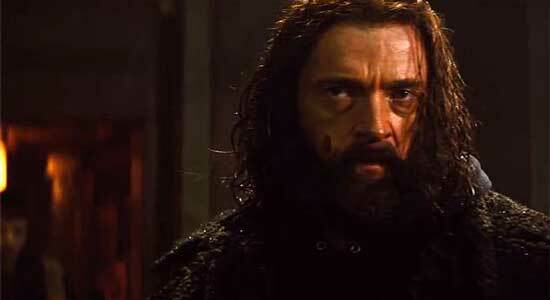 The beginning of The Wolverine finds Logan imprisoned inside a well. 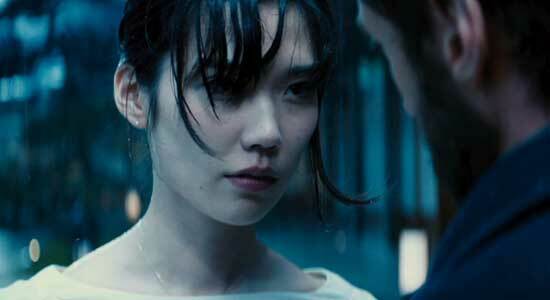 Visually, the scene recalls the well/prison that Bruce Wayne becomes trapped inside in The Dark Knight Rises. This parallel, while perhaps not intentional on the filmmakers’ part, goes beyond the visual to the thematic as The Wolverine essentially traces the heroic journey of Logan from despair to hope, from hiding and running from life to embracing it with a passionate ferocity worthy of his nickname. 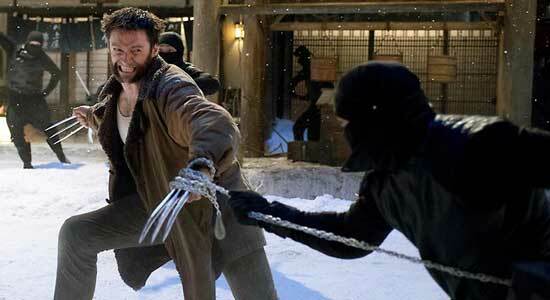 It is essentially the same kind of journey as Bruce Wayne’s in TDKR but with additional insights and wisdom that the unique nature of the Wolverine character makes possible for discussion. Forced to commit the horrible yet necessary act of killing Jean Grey, the woman he loves, in X-Men: The Last Stand, Logan, never the upbeat optimist to begin with, slides into a mire of apathy and despair, passing his endless days in a small grotto in the Canadian Rockies. Bearded and unkempt (again like Wayne in the beginning of TDKR), he’s like one of those age-old, world-weary vampires that we often see in vampire movies, only worse since a vampire theoretically has the option to kill himself using various time-honored methods while Wolverine does not since his healing factor patches up even the most horrendous injuries. Even age is meaningless. (1) Running and hiding: This often takes the form of physically removing oneself to another locale where one feels one will be safer and freer from pain. Sometimes, we move to a different neighborhood, a different city, or even a different country entirely. Sometimes, in extreme cases, we even retreat from society as a whole as in the case of some monks, ascetics, renunciants, or just regular people out of various spiritual or emotional motivations. (2) The wearing of emotional armor: This is the more common method as it can easily be done anywhere should running and hiding not be a viable option. The specific situations vary infinitely, but it always involves a hardening one’s mind and heart, a reduction of one’s capacity to feel since to feel less of anything also means to hurt less. Sometimes, as with Logan at the beginning of The Wolverine, we do both of the above so as to ensure maximum avoidance of human interaction and all the pain and suffering (but also the joys and pleasures) that come with it. But despair is not Logan’s failure. And, since we all encounter it sooner or later, it is not our inherent failure either. It is simply a natural response to crossing our threshold of bearable pain. If we recognize it simply as a stage in the Hero’s Journey, and are willing to consciously apply the knowledge and wisdom that mythology teaches us, then we can recover from it faster and return to our life missions with renewed passion and commitment. Logan’s sense of nothing to live for is, of course, a self-created mental fallacy. There is always something to live for, especially for one so exceedingly gifted with the power to help people as he is. It is a great irony that although his body has the ability to heal just about any wound, his broken heart will not heal. I mean “broken heart” in the widest possible sense since Jean Grey’s death was simply the last straw in a very long history of Logan’s disappointments and disillusionment with the world. The Wolverine is a film of great mythical power because it is the first among five movies to finally explore the spiritual and psychological significance of Wolverine’s famous “healing factor.” At the deepest, mythical level, Logan’s ability to self-heal any injury simply represents emotional resilience, the ability to bounce back from all of life’s many blows, cuts, scrapes and bruises. Some wounds are more profound than others. In Marvel’s Ultimate universe, Wolvie gets literally torn in half by the Hulk. But he heals from even that. Likewise with us. So long as a physical or mental event does not actually kill us – and here we recall Nietzsche’s famous quote – we do have the capacity to not only recover from it but to become all the stronger as well (although strength does not mean deadening the capacity to feel as I will explain further). It doesn’t mean we will recover; it just means we have the innate ability to. It largely comes down to a matter of choice. But once inertia sets in for Logan, he’s not aware that he even has a choice. This is why life, both in reality and in myth, throws opportunities our way. For Logan, the Call to Adventure (or the call to return to adventure, rather), first comes when he encounters a grievous injustice done to a magnificent grizzly bear. Living as an animal as he is – and likened to beasts as he always has been – perhaps he relates to the animal’s senseless pain. Regardless of the reason, he feels the first sparks of compassion (for the animal’s suffering) and rage (for those responsible) in a long time. And because he answers the call by hunting down the perpetrators – proving that a sense of justice, responsibility and duty still live within him – life answers by sending him an even bigger challenge, one that takes him back to the land where he once survived even nuclear holocaust. Ironically, by making him invulnerable for so long (which anyone else would think was a tremendous privilege), Wolverine’s healing factor has led to his becoming numb and desensitized to both life and human pain. It is doubly ironic, then, that only when he loses his healing power that he regains the courage and willingness to feel not just his own pain but the pain of others which, in turn, spurs him to committed action. In effect, when Wolverine loses his healing power, it symbolizes the beginning of the dissolution of his emotional armor, the one that he had worn so long to avoid further disappointments and heartaches. At the same time, he becomes attracted to Mariko, the daughter of a powerful Japanese businessman whose life he had saved during the bombing at Nagasaki, and begins to care about her. When she becomes threatened by danger, Logan’s habitual apathy momentarily disappears and his protective instincts kick in. Here, just as in The Dark Knight Rises, acute danger and crisis become the trigger for action. 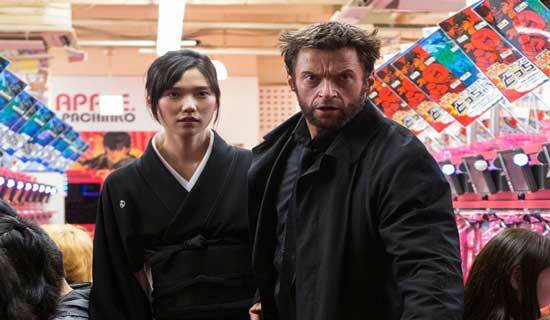 The rest of Logan’s old emotional armor falls away when he and Mariko flee to Nagasaki (where he once originally survived the dropping of the A-bomb). In the first part of a beautiful sequence, Logan has just helped out an old lady by chopping up a big tree that had fallen over during a rainstorm. To his puzzlement, he finds himself feeling fatigued after the task, an uncommon feeling for him. A hint of a smile crosses his lips as he remembers what it feels like to simply be alive and human (mutants are human, after all, just evolved ones), and, for better or worse, pain and discomfort is a part of being human.With his increasing physical vulnerability comes, at last, his emotional healing, symbolizing that in order to truly be strong, to truly recover from life’s adversities, we must let go of our armor. We must be willing to feel pain and to be vulnerable. And as Logan continues to open himself up this way, he falls in love and love completes his journey to recovery. The film then beautifully brings together Logan’s despair and healing journey together with Nagasaki’s recovery from the apocalyptic devastation of the A-bomb (and by extension, both of these examples symbolize our recovery as well). All around in Nagasaki we see nature and humanity brimming with color, bounty and life. Mariko says that her grandfather once told her that Nagasaki’s miraculous recovery was proof of the world’s innate ability to recover from anything. Wolverine, as it turns out, is not the only one with this power. It’s been an innate part of humanity all along, and history itself is the proof. Logan does find peace. But (again ironically) it is not in passive inaction but rather dynamic and committed action that he does so. And so it is with all humans. And here I want to dispel the myth of attaining peace and tranquility through escape and withdrawal. Yes, temporary withdrawal can be necessary and desirable sometimes. Rest and recovery, both physical and emotional, is extremely important, and often a bit of retreat can be helpful in this regard – in fact, I urge and encourage it. But it must not stop there. We are human beings, not static trees or rocks, and humans were designed for action in the world (but punctuated by solitude, reflection and introspection). Though this is true for all of us, the character of Wolverine is an extreme example of is this principle in that he is gifted with abilities that, when used in action, can help and save countless people. This is what he is meant for, and this is why he could never possibly find true peace while living as a hermit in a cave, even if he were to chant “om” all day. Even in ascetic, monastic traditions that require a high degree of withdrawal and solitude, and which seem to paint a portrait of renunciation as the road to peace, the true point of these disciplines has always been to temporarily build up enough inner wisdom and equanimity to then go back out into the world to practice and live one’s spiritual ideals within the world. I would argue that those monastic traditions that consider withdrawal from the world to be the end all-be all have forgotten the true crux of their founders’ teachings. 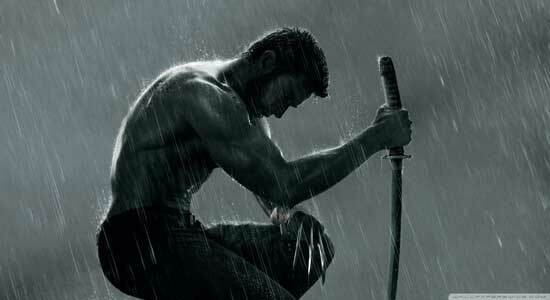 Wolverine was bred by nature, and further enhanced by human technology, to be the proverbial ultimate weapon and warrior. Fortunately, thanks to the wise mentoring and leadership of Professor X, he became able to channel his aggressive tendencies for good (for more on the Mentor Archetype, see my posts on Man of Steel, X-Men and villains). His place is in the world, helping it, and he could therefore never possibly find peace while hiding from it. And he knows it. When, once the evil in the film has been vanquished, Mariko asks him not to leave Japan, Logan, in his heart, of course wants to stay. But, like Bruce Wayne in The Dark Knight Rises, he has rediscovered his purpose for living and fighting. To stay in Japan and have a family with Mariko may be his desire (and perhaps one day he will), but to do so would be a bit of a self-indulgence given his tremendous power and ability to help a world in crisis. And self-indulgence is something he has allowed himself for too long already. “Up” is right, for here again is yet another heroic archetype who – through strength, courage and wisdom – has pulled himself out from the well of despair and into the stratosphere for the next leg of his Hero’s Journey. It is not an unlivable ideal. It is a symbol of what we are all capable of.